I have been very inspired by the recent renovations you have featured on your blog, and would like to undertake a similar feat in my condo. I was especially interested in the striped accent wall in the boys’ room. 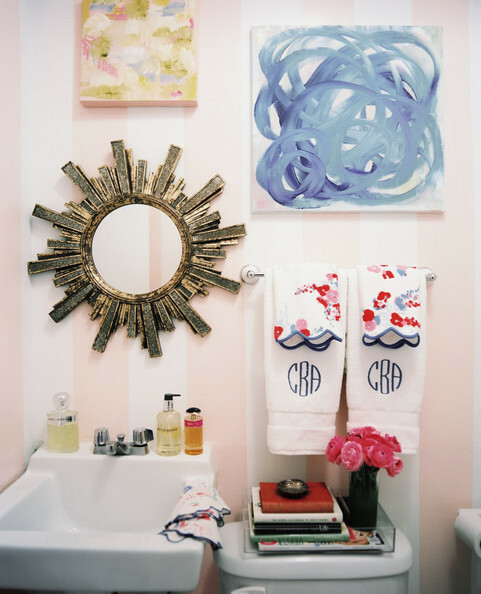 I wanted to do something similar in my ensuite bathroom but I was wondering when its best to use a vertical stripe vs. a horizontal stripe. My ensuite is very, very small. What would you recommend? So nice to hear from you! 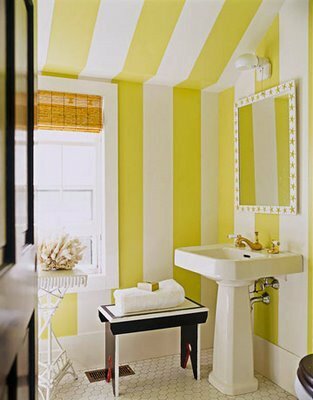 Adding stripes to your bathroom is such a fun and bold way to make a statement. C prefers horizontal stripes because it’s a lot more calming and pleasing to the eye. I love both vertical and horizontal stripes so it really depends on your preference. You can use either one, it doesn’t matter how big your space is. We hope these photos help! Do send us a photo of your bathroom when it’s done! !